On May 6, 2015, the Public Utilities Commission of Ohio (PUCO) published and requested comments on draft rules enforcing Ohio's call-before-you-dig (CBYD) law, and associated Business Impact Analysis (BIA). The draft rules and BIA can be found at the PUCO's website http://www.puco.ohio.gov/puco/ under Documents and Rules, Entries and Orders, May 6, Case No. 15-282-AU-ORD, or by searching for the Case No. Electronically filed comments are due June1; hard copy comments due June 30. All archaeologists excavating (penetrating the ground with any hand or power tool to any depth for any reason) in Ohio must comply with the CBYD law. Legal enforcement of the law begins January 1, 2016. If your private or non-profit business conducts excavations in Ohio, you are urged to review the draft rules and the BIA. 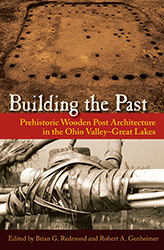 A new volume titled "Building the Past, Prehistoric Wooden Post Architecture in the Ohio Valley-Great Lakes," presents new and previously unpublished studies of precontact architecture in the Ohio region. Most of the chapters in this new book are derived from a 2012 symposium sponsored by the Ohio Archaeological Council. Eleven chapters discuss archaeological remnants of wooden post constructions dating from the Late Archaic through Late Prehistoric periods in Ohio, Kentucky, Indiana, and Ontario. The book is published by the University Press of Florida. Time: 9:30 am to 4:00 pm. Location: Sharon Woods Metro Park Spring Hollow Lodge – NE side of Columbus. On December 19, 2014, Governor Kasich signed into law Amended Substitute Senate Bill 378, an act that for the first time enforces Ohio's underground utility damage prevention law. Beginning January 1, 2016, all "excavators" are subject to the law's enforcement provisions. An "excavator" is anyone who moves soil, rock, or other material in order to penetrate the earth ("excavate") to any depth, for any reason, with any hand or mechanical tool. Excavators will have to register with the Public Utilities Commission of Ohio (PUCO) and pay an annual registration fee not to exceed $50. The law contains significant fines for not registering and other acts of non–compliance. The act, along with a summary, analysis, and fiscal analysis, can be read at http://www.legislature.state.oh.us/bills.cfm?ID=130_SB_378. • The PUCO will enforce Ohio's underground utility damage prevention law, assisted by a 17–member Underground Technical Committee (UTC). • The UTC is composed of 17 Governor– or General Assembly–appointed members, the majority of whom are excavators or representatives of underground utility industries. • A person with duties and obligations under the law, and who is directly involved with or impacted by an alleged compliance failure of another person, can file a complaint against the person with the PUCO. • Requires the UTC to review each complaint, and recommend a fine or other penalty, or request an administrative hearing with the PUCO if the UTC believes harsher fines or penalties are warranted, or determine no enforcement action should be taken. • Requires, with some exceptions, the PUCO to impose the UTC's recommended fines and penalties. • Fines for the first compliance failure may be up to $2,500. Fines for subsequent compliance failures may be up to $5,000. • The UTC may designate a person as a "persistent noncomplier." The fine imposed on a persistent noncomplier may be up to $10,000. • Requires that a person with a permit for excavation from the state or a local government to comply with the law. • Requires excavators to register with the PUCO and pay an annual registration fee not exceeding $50. • Failure to register will result in a fine not exceeding $2,500. • Requires the registration fee and fines for failure to pay the registration fee to be deposited in the Underground Facilities Protection Administrative Fund, to be used to fund the new enforcement process. • Creates an Underground Utility Damage Prevention Grant Program funded by compliance-failure fines, to be used for excavation safety training and education. • Requires the PUCO, in consultation with the UTC, to adopt rules to enforce the law. The Ohio Archaeological Council is planning an educational session on the revised law at its spring membership meeting on May 1 at the Spring Hollow Lodge, Sharon Woods Metro Park, Westerville (Franklin County), Ohio. The program on protecting underground utilities will be from 10 to 11 a.m. Details are forthcoming. On Sunday, September 14th Dr. N'omi M. Beeman Greber, a long-time member and former Vice President of the Ohio Archaeological Council, an accomplished Hopewell archaeology scholar, and a dear colleague passed away. There are many archaeologists working away at different tasks and topics in the Midwest, and some have spent their entire careers in the region. But few have made as lasting an impact on the discipline and our knowledge of the past as N'omi. N'omi Greber made her first foray into Midwest archaeology in 1974, moving over from mathematics, with a paper on the Middle Woodland period in northwestern Ohio that she presented at the Midwest Archaeological Conference. We doubt that back then she knew her career would be so laser focused on one theme: Ohio Hopewell. It's not uncommon for a person to become closely associated with the work they do, especially when that person spends their entire career in the pursuit of a singular topic. In the case of Hopewell studies in the Ohio Valley, the name N'omi Greber has become synonymous with the term Hopewell. After that first paper in 1974, N'omi spent 40 years of her career tirelessly and diligently working on the Hopewell problem from myriad angles, with many papers and presentations—all on things Hopewell. Except for a brief stint working on contract projects in the late 1970s and early 1980s, nearly all of N'omi's written works (reports, newsletter and journal articles, and book chapters n=67) have also covered topics related to the Hopewell. From studies of the arrangement and distribution of earthwork sites, to pioneering the use of geophysics in archaeology, tackling the challenges of chronology, and fighting the heat and bugs in the many seasons of field work down in the trenches at Ohio sites, N'omi's efforts in Hopewell archaeology have been a defining force in what we know today as Ohio Hopewell! N'omi's contributions to archaeology go well beyond simply digging and reporting. She had also been active in service positions. Locally she has been on the Executive Board of the Cleveland Archaeological Society (Archaeological Institute of America) since 1997 and has served in several capacities within the Ohio Archaeological Council (including trustee and vice president, and as a member of several committees). Regionally, N'omi has served on the Executive Board of the Central States Anthropological Society and she did work for the Midwest Archaeological Conference, as a member of the Nominations Committee in 2004 and as the Program Chair in 1982. N'omi's service work also occurred at the national level, with a two-year stint on the Native American Affairs sub-committee of the SAA. While N'omi's presentations, publications, and service work certainly set her apart as a major contributor to Midwest archaeology, we think another of her important and enduring contributions is something that often goes unrecorded in CVs—her role as mentor. We all have had mentors of one kind or another, advisors or special professors while we were at school or perhaps in our first job, but few can say they are a mentor to an entire subset of archaeological investigation. In N'omi's case, that subset is of course Ohio Hopewell research. N'omi has played an active role as mentor to many students, those studying Hopewell and those participating in field schools or field work projects, and she has worked closely with many professionals. And she continued to advise and oversee goings on at Hopewell Culture National Historical Park right up to the very end. 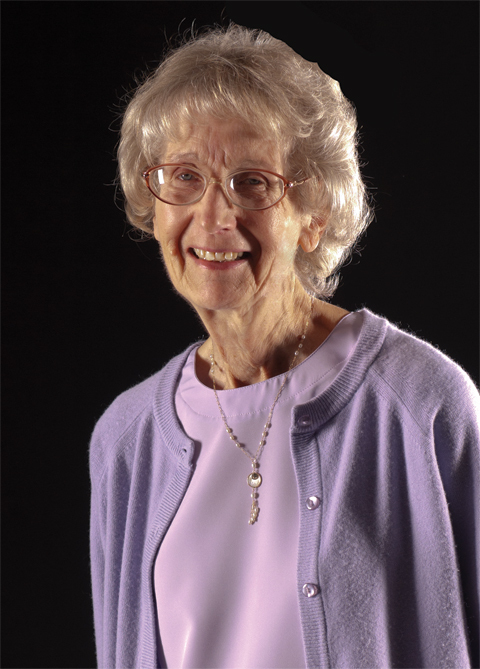 Dr. N'omi Greber was an important contributor to Ohio and Midwest archaeology for 40 years. We can say that as a student, colleague, and co-author, N'omi greatly influenced our professional lives, as well...and we have seen a similar influence on the thoughts and careers of many other archaeologists in our region. N'omi always represented Ohio and Midwest archaeology and archaeologists in the most professional of ways and she was an important advocate for the archaeological record. It's hard to imagine Hopewell archaeology without N'omi Greber, but her work and ideas live on in her many publications, in our hearts, and in the many wonderful things she taught us about the past. Thank you, N'omi for being such a good role model to us all. Within Ohio Hopewell: Analyses of burial patterns from several classic sites. Ph.D. Dissertation, Department of Anthropology, Case Western Reserve University, 1976. University Microfilms International, Ann Arbor, Michigan. Preliminary Report of Excavations at Nashport Mound, Dillon Lake, Ohio. Report to the National Park Service, October 1976. Report to the Ohio American Revolution Bicentennial Advisory Commission on the 1976 Salvage Excavations of the Edwin Harness Mound. (with David Brose) American Revolution Bicentennial Administration Matching Grant 76 19 4997, December 1976. Revisiting a Classic Hopewell Site for Modern Salvage, Ohio Archaeologists at the Edwin Harness Mound. Ohio Archaeologist, 27(3) 1977. Book review of Studies in Ohio Archaeology. American Anthropologist 79(3) 1977. Report of the 1975 Excavations at the Nashport Mound (33MU17) Dillon Lake, Ohio. Report to The National Park Service, November 1977. Department of Archaeology, Ohio Historical Society. The 1977 Excavations at the Edwin Harness Mound. Ohio Archaeologist 27(4) 1977. Archaeological Survey of the Flintkote Sewer Corridor. (with W.S. Clarke and A. Cramer) Submitted to the City of Chillicothe, January 1978. Department of Archaeology, Cleveland Museum of Natural History. Report on Reconnaissance and Sub Surface Archaeological Investigations of the CEI 345 KV Transmission Line: Perry Leroy Center. (with Lisa Murray) Submitted to Cleveland Electric Illuminating Company, June 1978. Department of Archaeology Archaeological Research Report 11:pt II, Cleveland Museum of Natural History. An Archaeological Literature Search and Probability Study for the Study Area of the Ohio Brady Lake 138 KV Line Loop. Submitted to Stanley Consultants, Inc., Muscotine, Iowa, July 1978. Department of Archaeology Archaeological Research Report 42: pt I, Cleveland Museum of Natural History. A Report of Sub Surface Archaeological Investigations of the Proposed Naivaka Park Recreational Center. Submitted to the City of Brecksville, September 1978. Department of Archaeology, Archaeological Research Report 15, Cleveland Museum of Natural History. The Archaeological Resources Within the Proposed Streetsboro Facilities Plan, Portage County, Ohio. (with David R. Bush). Submitted to Portage County Sanitary Engineer, Ravenna, Ohio. Department of Archaeology, Archaeological Research Report 22:Pt I, Cleveland Museum of Natural History, 1979. Hopewell Archaeology: The Chillicothe Conference. (Volume editor; David S. Brose was conference organizer). Kent State University Press, 1979. Variations in Social Structure Among Classic Ohio Hopewell Peoples. Midcontinental Journal of Archaeology 3(3):35-78 1979. A Comparative Study of Site Morphology and Burial Patterns at Edwin Harness Mound and Seip Mounds 1 and 2, In Hopewell Archaeology: The Chillicothe Conference edited by N. Greber, Kent State University Press, 1979.. The Micro component of the Ohio Hopewell Lithic Industry: Bladelets (with Richard S. Davis and Ann S. DuFresne) Annals of the New York Academy of Science. Vol. 376 Pages 489-528, December 1981. Salvaging Clues to a Prehistoric Culture, The Gamut, No. 3, pages 35-45. Cleveland State University, 1981. The Phase I and II Archaeological Survey of the Proposed Omega Power Plant Site, Pike County, Ohio. (with Stanley Baker, Rae Norris, and Don Bier) Submitted to Charles T. Main Inc., Boston, Mass. by the Department of Contract Archeology, Ohio Historical Society, Columbus, 1982. Book review of The Archaeology of Death edited by Robert Chapman, Ian Kinnes, and Klavs Ransborg. American Anthropologist Vol. 85 No. 2, 1983. Early Middle Woodland Study Unit Archaeological Resource Plan, Northeast Ohio. Submitted to The Ohio Historic Preservation Office, Columbus, 1983. Recent Excavations at the Edwin Harness Mound, Liberty Works, Ross County, Ohio. (with special analyses by James B. Griffin, Richard I. Ford, Tristine L. Smart, Raymond S. Baby, Susanne Langlois, Stephanie Belovich, David Morse, and Kent Vickery) Midcontinental Journal of Archaeology, Special Paper No. 5, 1983. Geophysical Remote Sensing at Archaeological Sites in Ohio: A Case History. Expanded Abstracts with Biographies, 1984 Technical Program pp 185-189. Society of Exploration Geophysicists, 54th Annual International SEG Meeting, Atlanta, Georgia, 1984. Ohio entries in Historical Dictionary of North American Archaeology, edited by Edward B. Jelks. Greenwood Press, Westport, Conn, 1988. The Hopewell Site: a contemporary analysis based on the work of Charles C. Willoughby. (with Katharine C. Ruhl) Westview Press, Boulder, Colorado, 1989. Published in cooperation with the Peabody Museum of Archaeology and Ethnolgy, Harvard University. Ohio Hopewell (text, captions, and slides) Pictures of Record, Weston, Conn, 1989. Ohio Hopewell Earthworks, Hearthstone No. 16:28 31, 1990. A Study of Continuity and Contrast Between Central Scioto Adena and Hopewell Sites. West Virginia Archaeologist 43(1&2):1-26. The 1993 Field Season at the Hopewell Site, Ross County, Ohio. Submitted (with Mark F. Seeman) to the Archaeological Conservancy, Sante Fe, New Mexico. January 1995. Some Archaeological Localities Recorded in the Seip Earthworks and Dill Mounds Historic District. Report to the National Park Service. October 1995. The Hopewell Site: realm of Hopewellian artisans and architects. (with Patricia Essenpreis and Katharine C, Ruhl) On CD The Hopewell Mound Group: Its People and Their Legacy. Presented by the Ohio Historical Society, 1995. A Commentary on the Contexts and Contents of Large to Small Ohio Hopewell Deposits. In A View From the Core edited by Paul Pacheco, pp 150-172. The Ohio Archaeological Council. 1996. Two Geometric Enclosures in Paint Creek: An Estimate of Possible Changes in Community Patterns Through Time. In Ohio Hopewell Community Organization edited by William Dancey and Paul Pacheco pp 207-230. Kent State University Press. 1997. Comments on Ceremonial Centres from the Cayapas (Esmeraldas, Ecuador) to Chillicothe (Ohio, USA) by Warren R. DeBoer; comments published with the article. Cambridge Archaeological Journal (7(2):225-53, October 1997. Entries on Ohio Hopewell and Seip Earthworks. In Archaeology of Prehistoric Native America: An Encyclopedia edited by Guy Gibbon. Garland Publishing, Inc. 1998. Combining Geophysics and Ground Truth at High Bank Earthworks, Ross County, Ohio. The Ohio Archaeological Council Newsletter, 11(1):8-11. Correlating Maps of The Hopewell Site, 1820-1993 (text and computer files). Report to Hopewell Culture National Historical Park, National Park Service, January 1999. Hopewell Archaeology in the Ohio River Valley 3(2):1-6. The Hopewell Site: A Contemporary Analysis Based on the Work of Charles C. Willoughby (with Katharine C. Ruhl). Reprinted by Eastern National in cooperation with the Harvard Peabody Museum of Archaeology and Ethnology, 2000. Second printing 2001. The Year 2000 Field Season at the High Bank Earthwork. (with Karen Royce) The Ohio Archaeological Council Newsletter 13(1): 23. Well Grounded Work. Explorer 42(2): 11-13. Preliminary Report on the 2002 Excavations at the Great Circle, High Bank Works. Submitted to Hopewell Culture National Historical Park and the Midwest Archaeological Center, 30 August 2002. A Preliminary Comparison of 1997 and 2002 Limited Excavations in the Great Circle Wall, High Bank Works, Ross County, Ohio. Hopewell Archeology: The Newsletter of Hopewell Archaeology in the Ohio River Valley, 5(2):1-6. Hopewell Mound 11: Yet Another Look at an Old Collection (with Frank L. Cowan). Hopewell Archaeology: The Newsletter of Hopewell Archaeology in the Ohio River Valley, 5(2) :7-11. Report on the 2002 Excavations at the Great Circle, High Bank Works. Submitted to Hopewell Culture National Historical Park and the Midwest Archaeological Center, 30 May 2003. Chronological Relationships Among Ohio Hopewell Sites: Few Dates and Much Complexity. In Theory, Method, and Practice in Modern Archaeology edited by Robert J. Jeske and Douglas K. Charles, pp 88-113. Praeger Publishers, Westport Conn and London, England, 2003. The Edwin Harness Big House. In Ohio Archaeology by Bradley T. Lepper, pp 132-134. Orange Frazer Press, Wilmington, Ohio, 2005. Adena and Hopewell in the Middle Ohio Valley: to be or not to be. In The Good Servant and the Bad Master: Woodland Period Systematics in the Middle Ohio Valley edited by Robert Mainfort and Darlene Applegate, 19-39. University of Alabama Press, 2005. The 2004 Field Season at High Bank Works, Ross County, Ohio. Hopewell Archaeology: The Newsletter of Hopewell Archaeology in the Ohio River Valley. 6(2) March 2005. Report to Hopewell Culture National Historical Park on 2005 Field Work at the High Bank Works. Submitted to Hopewell Culture National Historical Park 31 August 2005. Douglas Charles and Jane Buikstra pp 74-105. University of Florida Press, 2006. Report to Hopewell Culture National Park on 2006 Field Work at the High Bank Works. Submitted to Hopewell Culture National Historical Park. 31 August 2006. A Study of Possible Effect of the Proposed OH-Newark Country Club Tower on Astronomical Studies of the Newark Earthworks. (With Robert Horn) Submitted to Environmental Resources Management, Solon, Ohio 2 March 2006. Preliminary Report to Hopewell Culture National Historical Park on 2007 Field Work at the High Bank Works. Archaeological Research Report 152, Cleveland Museum of Natural History. Submitted to Hopewell Culture National Historical Park August 2007. The 2008 Field Season at the High Bank Earthworks (33Ro60) Ross County, Ohio. Archaeological Research Report 157, Cleveland Museum of Natural History. Submitted to Hopewell Culture National Historical Park and the Midwest Archeological Center. Sept 2009. Re-interpretation of a Group of Hopewell Low Mounds and Structures, Seip Earthworks, Ross County, Ohio. Guest Editor and contributor for the issue, Midcontinental Journal of Archaeology, 34(1)5-186. 2009. Stratigraphy and Chronology in the 1971-1977 Ohio Historical Society Field Data. Midcontinental Journal of Archaeology 34(1)19-52. Final Data and Summary Comments. Midcontinental Journal of Archaeology 34(1)171-186. Exploring the Features Found During the 1971-1977 Seip Earthworks Excavations. (with Jarrod Burks) Midcontinental Journal of Archaeology 34(1)143-170. Field Studies of the Octagon and Great Circle High Bank Earthworks Ross County, Ohio. (with Orrin Shane) In In the Footprints of Squier and Davis: Archaeological Field Work in Ross County, Ohio pp. 23-48, edited by Mark J. Lynott. Midwest Archeological Center Special Report No. 5. National Park Service Midwest Archeological Center, Lincoln, Neb, 2009. Coda: Still Seeking Hopewell. In Hopewell Settlement Patterns, Subsistence, and Symbolic Landscapes pp 335-348, edited by A. Martin Byers and DeeAnne Wymer. University Press of Florida, 2010. Adena in Ohio and Hopewell in Kentucky: In Honor of R. Berle Clay. Journal of Kentucky Archaeology, Volume 1, Number 1 (Summer 2011) on line as a .pdf and as a web site. The Ringler Dugout Revisited (with Katharine C. Ruhl and Isaac Greber). Journal of Ohio Archaeology 2:16-29. An electronic publication of the Ohio Archaeological Council, 2012. University of California professors Timothy White, Robert Bettinger, and Margaret Schoeninger are suing to keep their university from turning over two 9,000-year-old skeletons to the La Posta Band of Diegueno Mission Indians of the Law Posta Indian Reservation for reburial. These two ancient skeletons were excavated from the chancellor's residence at the University of California, San Diego in 1976. Eske Willerslev, the University of Copenhagen geneticist who uncovered the genome of the 13,000-year-old Anzick skeleton earlier this year, told Wired magazine "To give them away without study, would be like throwing the genetic crown jewels of the peopling of the Americas in the ocean. It would be a major loss for all, including Native Americans." The scientists' attorney, knowing of the OAC's involvement in the Kennewick Man case, asked us to submit a Friend of the Court brief in support of the scientists' efforts to save these Paleoamerican skeletons from being given to an American Indian tribe with no demonstrable cultural connection to the remains. The OAC Board acted quickly to prepare a draft and Brad Baker, a former OAC member and now an attorney, turned the document into a forceful legal brief, which was filed today on behalf of the OAC (Monday September 22, 2014).